Room 104: Is the HBO TV Series Cancelled or Renewed for Season Two? Is delayed checkout available? Has the Room 104 TV show been cancelled or renewed for a second season on HBO? The television vulture is watching all the latest cancellation and renewal news, so this page is the place to track the status of Room 104 season two. Bookmark it, or subscribe for the latest updates. Remember, the television vulture is watching your shows. Are you? An HBO live-action anthology, Room 104 hails from Mark Duplass and his brother, Jay Duplass. The story features the continuing action, in a single room in an American motel. Each episode is akin to a short, self-contained film and features a revolving cast. Although stories always play out in the same chain motel room, the series explores different eras as well as genres, including comedy, horror, and drama. 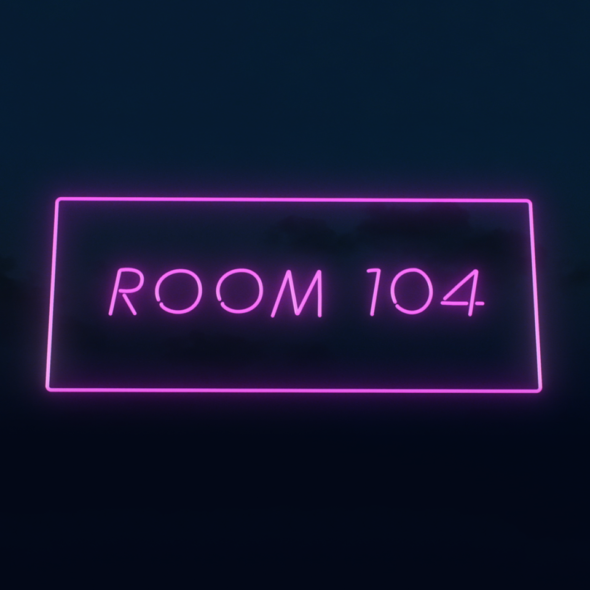 The first season of Room 104 averaged a 0.11 rating in the 18-49 demographic and 333,000 viewers. Learn how Room 104 stacks up against the other HBO TV shows. On August 24, 2017, Room 104 was renewed for a second season which will debut November 9, 2018. Stay tuned for further updates. Although it premiered with relatively low numbers for a late night cable TV series, it is still too early to use the ratings to predict whether HBO will cancel or renew its Room 104 TV show for a second season. I will keep an eye on the Nielsens and update this page from time to time. Subscribe for free updates on any Room 104 cancellation or renewal news. 8/24/17 update: HBO has renewed Room 104 for a second season. Details here. Check the rankings for HBO’s other scripted TV shows. Find more Room 104 TV series news or other HBO TV show news. What do you think? Are you glad that the Room 104 TV show has been renewed for a second season? How would you feel if HBO had cancelled this TV series, instead? Room 104 on HBO: Cancelled or Renewed for Season Three? Barry: Is the HBO TV Show Cancelled or Renewed for Season Two? Veep: Is the HBO TV Series Cancelled or Renewed for Season Seven? The Deuce on HBO: Cancelled or Renewed for Season Three? Animals: Cancelled or Renewed for Season Four on HBO? High Maintenance: Cancelled or Renewed for Season Three on HBO? Insecure: Is the HBO TV Show Cancelled or Renewed for Season Four? Mosaic: Is the HBO TV Series Cancelled or Renewed for Season Two? Succession on HBO: Cancelled or Renewed for Season Two? Tracey Ullman’s Show on HBO: Cancelled or Renewed for Season Three? Ballers: Is the HBO TV Show Cancelled or Renewed for Season Four? Insecure: Cancelled or Renewed for Season Three on HBO? Girls: Cancelled or Renewed for Season Seven on HBO? Cancelled it terrible sound freak weird then regular horror show of course hbo made it not good worst shows that scary ever seen before.